Living (or hiding) among the asteroids and abandoned ships in the Detritus Ring, the Rogues are a motley collection of renegades, criminals and survivalists. Although the Rogues lack the structure, uniformity, and discipline of the Peacekeepers or Jennerit, they’re willing to band together when their free-wheeling way of life is threatened. Of all Battleborn’s factions, the Rogues are the truest form of outcasts, rejects and wanderers from every civilization and walk of life. The Rogues are “people without affiliations.” They are vagabonds, pirates, raiders, mercenaries, hermits –beings who value personal freedom over anything else. For some Rogues, that freedom means a life of freeing possessions from other people. For other Rogues, it just means living in isolation, free from the rules, restrictions, and conflict of the rest of the universe. While the Rogues generally despise organizations and governance of any kind, there is one leader among them who they will rally behind when the conflict around the Last Star, Solus, requires a coordinated action. Reyna “The Valkyrie” Valeria, known as the Rogue Commander, commands respect from almost all of the rabble in the Detritus Ring. Mostly because they all owe her favors. 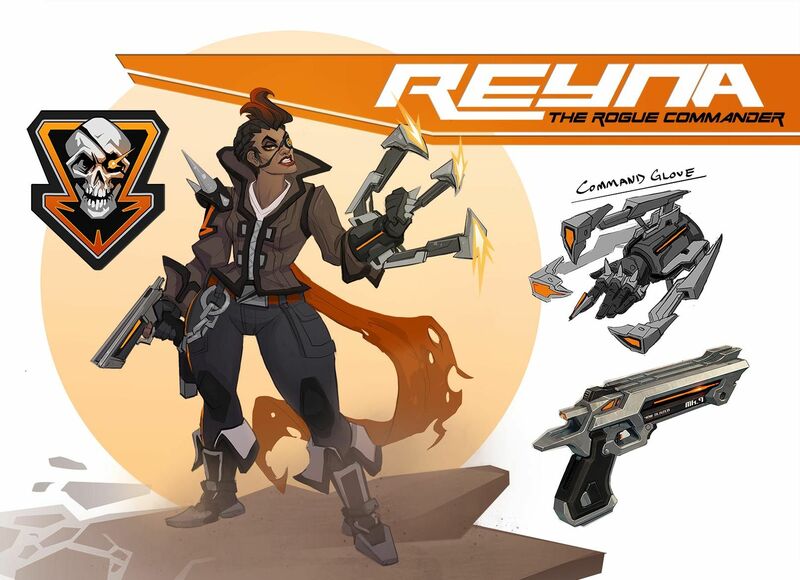 Capable and charismatic, Reyna earned the nickname “the Valkyrie” for going out of her way to save and recruit discarded or disgruntled warriors from among other factions and organizations. Even so, Reyna (born and berthed on the Fortune’s Favor, the aging pirate flagship of the piecemeal rogue alliance) wisely only assembles the fragile alliance of rogues for big raids or the direst of end-of-the-universe circumstances. We’re not saying every Rogue is a criminal - certainly there are a few who just want to be left alone - but most Rogues value freedom and pleasure, sometimes in that order. The most ambitious of the Rogues usually fall into one of three forms of piracy: Raids, relics, or shardjumping. Raids are what you imagine – bandit attacks on unprotected settlements or ships. The Rogues are especially fond of raiding wealthy LLC ships that, while well-defended, are almost always worth the risk. Rogues love to deal in rare artifacts and black market power. Across the Solus system, many of the planets are troves of Aztanti relics –powerful remnants of a long-abandoned civilization. Most of these artifacts hold great and mysterious power, and are highly sought after by high bidders amongst the other factions. If you can get past the sentinels to claim them, that is. Shardjumping is the most common and lucrative theft in the remaining universe. As stars are put under duress in a Darkening process, they exude waves of energy which coalesce into plasmite crystals (aka “shards”) when they pass through certain particles or atmospheres. 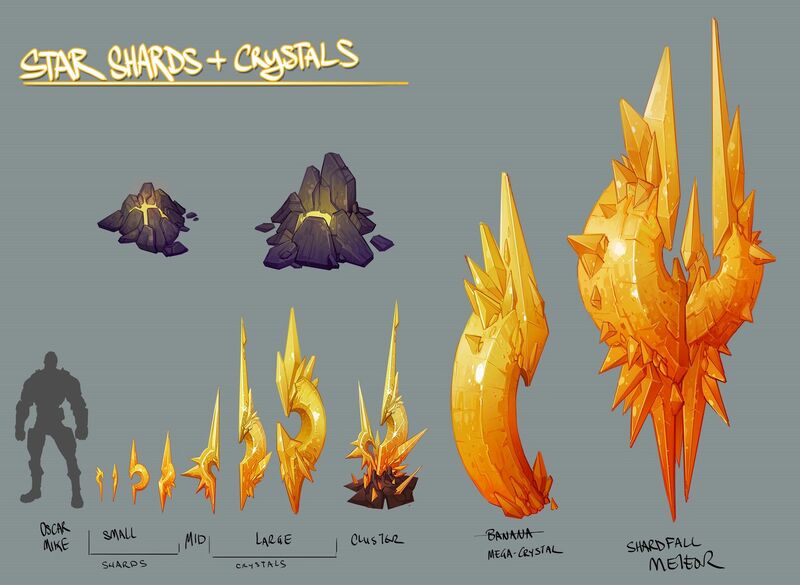 These shards are highly charged with energy, and therefore, are prized where resources are low. Rogues are very adept at tracking shard formations and beating other claimants to those shardfalls. Or just taking the shards from someone else. Learn more about the Rogue's hideout and the inspiration behind their design.